Jeremy’s exciting news about film option on his non fiction work Dead Drop which is about Oleg Penkovsky. How Jeremy Duns first got into writing and how a school teacher was a major source of inspiration. Which Spy authors Jeremy admires. The Paul Dark Chronicles. Jeremy talks us through the story arc of Free Agent, Song of Treason, The Moscow Option and Spy Out the Land. Other than the big reveal early in Free Agent, Jeremy does not reveal any spoilers which is just as well as host Shane Whaley has only read the first book of the series and is looking forward to the 3 remaining books. Each of the first three books was built around an actual historical event. Jeremy shares why he chose those events and what intrigued him about them. Shane loves the cover of the Dark Chronicles and rates it as one of his favorite book covers. Jeremy shares with us how that cover came about and why the names of the second and third books of the trilogy were changed. Jeremy’s advice to new writers and his thoughts on book deals v self publishing. The Quick fire round, Jeremy Duns shares with us how he would deal with being embedded in East Berlin. The Times called the second book in the series, Song of Treason, ‘a masterly excursion back to the bad old days of the Cold War’, while The Guardian said it was ‘a treat for fans of traditional Len Deighton-style spy thrillers’. The Dark Chronicles, an omnibus of the trilogy, was published in 2012, and was followed by Codename: Hero (titled Dead Drop in the UK), a non-fiction investigation of the Oleg Penkovsky spy operation. The fourth Dark novel, Spy Out The Land, was published in early 2016. 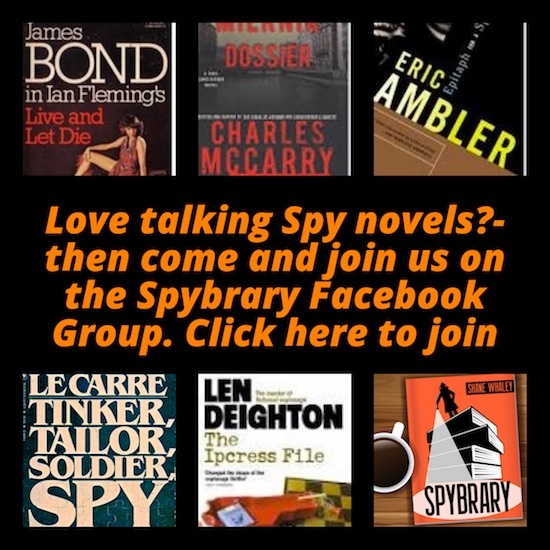 If you enjoyed this episode of Spybrary feel free to join our Spybrary Facebook Discussion Group. Let us know what you think and share your thoughts. 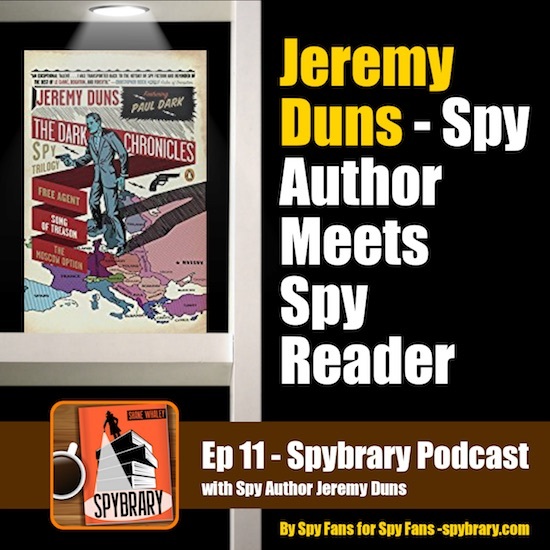 Jeremy Duns is a ‘Spybrarian‘ himself and I am sure he would be delighted to answer any questions you may have on his work or the spy genre. Full list of Jeremy Duns books at Amazon. 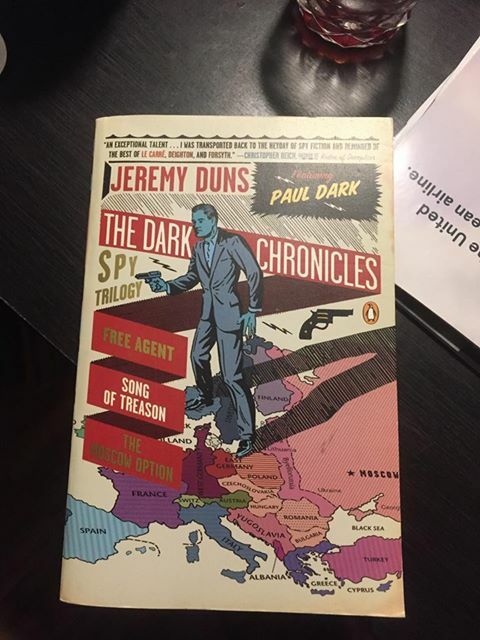 Jeremy Duns’ The Dark Chronicles, Spybrary Host Shane Whaley’s favorite book cover. Super interview with Jeremy – he comes across as a very personable individual and very knowledgeable.